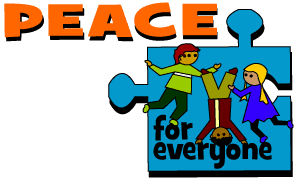 To promote peaceful relationships among diverse groups, cultures and societies. To encourage openness and understanding of others while celebrating the diversity of the human race. I am a global citizen. The desire for peace is universal. PEACE RUBBINGS: “Peace” is written in fifty (50) languages on metal plates. Children will use a piece of paper and crayon to rub the words onto a paper they will take home with them. The children will learn to say peace in many languages. PEACE WEAVING: Weaving fabric through a frame helps children see what a beautiful picture we all make when we learn to live together, accept each other as we are and work together.